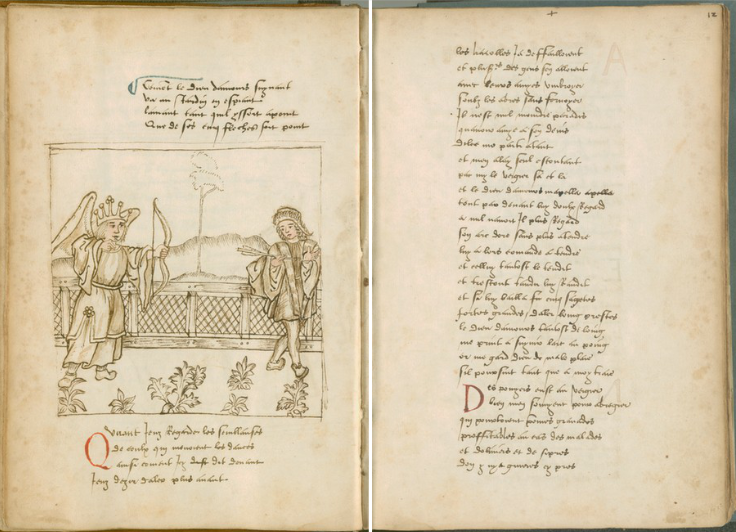 Since its inception over 20 years ago, the Roman de la Rose Digital Library has been enabling scholars to produce high-quality research based on over 130 digitized manuscripts of the famous 13th-century narrative by Guillaume de Lorris and Jean de Meun. We are now about to launch our latest version of the site, featuring an International Image Interoperability Framework (IIIF) compliant viewer that will support enhanced interaction with manuscript images. We are seeking submissions that present scholarship based on digitized images of the Roman de la Rose, or that offer a theoretical take on using such images for researching or teaching the narrative, its miniatures, or its manuscripts. How has the Rose Digital Library been used in research and teaching? What scholarship has resulted from being able to access this wealth of digitized images? How has being able to compare multiple images led to a greater understanding of medieval literary and artistic, and in what ways might such comparisons skew or obscure understanding if we are not mindful? How might such a resource be further developed to enhance our appreciation of this important narrative and promote new avenues of investigation? Abstracts for papers of 15-20 minutes or any questions should be sent to Tamsyn Mahoney-Steel (Tamsyn@jhu.edu). The deadline for submissions is September 15 2017. The submission guidelines and the required Participant Information Form are available at wmich.edu/medievalcongress/submissions. Due to an issue with our image serving software, some manuscript images are temporarily unavailable. If an image is unavailable, you will see a “gear” icon for it. Images are coming back online gradually in a process that will take about two days. Images are coming back online steadily, but slower than we hoped. All images should be available by 4/28. 80% of the images are available. The rest should be online by 4/30. All of the images are available. After another long delay, we promise to get back on track with posting these statistics. Please comment if you find these interesting, and if so, how often you would like to see them. For a start, here is 2013.